Practised for over 5000 years, shirodhara massage originates from India and is based on the ancient principles of Ayurvedic medicine. Translated from the Sanskrit as a holistic healing science, Ayurveda aims to harmonise the body, mind, senses and soul. 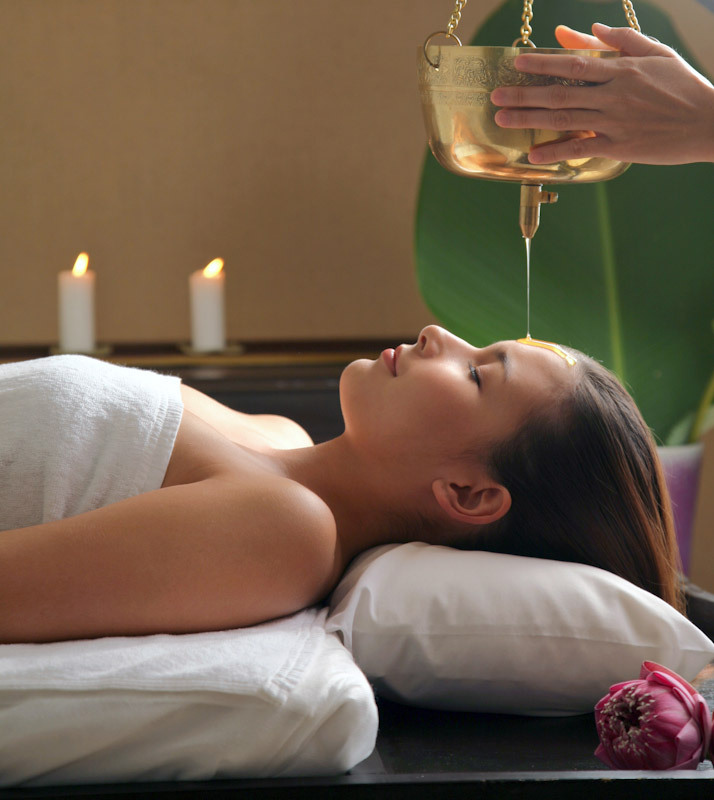 Ayurveda may be an ancient Indian therapy but its appeal is thoroughly modern. This holistic system of diet, herbal remedies and massage has been a big hit with thousands of celebrities, spa-goers and harried workers all around the world, looking to regain a balanced and healthy lifestyle. 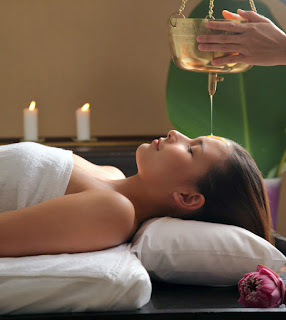 Shirodhara is a luxuriant and easy way to achieve instant calm and rejuvenation. It derives from two Sanskrit words: shiro and dhara. Shiro means head and dhara means to flow. It involves the warm and consistent flow of aromatic oils on the forehead, specifically on the ‘third eye’. This is the chakra point just above and between the eyebrows. It is said to be the seat of human consciousness. The oils are allowed to flow over the scalp and through the hair, creating a blissful sensation. 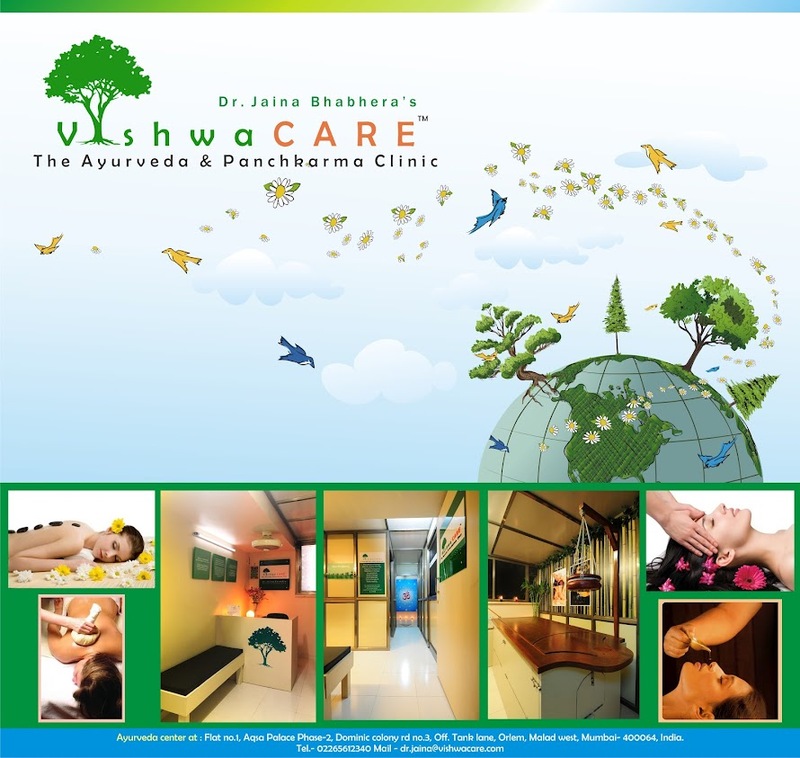 VishwaCARE offers Shirodhara with a comfortable and tranquil environment & with serene atmospheric background music & soft treatment table. Lying on your back, your body will be cocooned in warmed towels and your head will be positioned under the oil ‘fountain’ – a neem wood bottle with a slow-flowing spout from which the oils will stream gently onto the forehead. The soothing and fragrant oils flow in a continuous, rhythmic stream for approximately 40 minutes – you’re guaranteed to be transported to a calm place in no time! The herbal oils will flow back freely, also nourishing the hair and scalp before they are captured in a basin below. All your mental demons – fear, anxiety, anger or irritability – dissolve into an ocean of calm as your mind is lulled into a state of serenity and expanded consciousness. As the oil strokes the third eye, it has a balancing effect on the deepest recesses of the brain, stimulating the endocrine system, the pituitary and pineal glands (for hormonal upsets) and pleasure neurotransmitters (for depression or emotional insecurity). The procedure is also said to synchronise alpha brain waves, enhancing blood circulation to the brain, improving mental clarity and generally releasing deeply trapped ama, or toxins. You are then left for a few minutes to relax and assimilate the experience. Best of all, you’ll emerge with a heightened state of awareness and a long-lasting sense of peace to equip you for any of life’s challenges. Shirodhara truly honours the body as a sacred temple and a vehicle for the divine spirit within. For further enquiries, contact: 02265612340 / 9833998817.